I am surprised at every move inside unity. I love it. I am now creating the database side of things. I have a mod database that is all the pieces to create the items in game. The items database with persistent and delete-able items. I need to work it all together now. 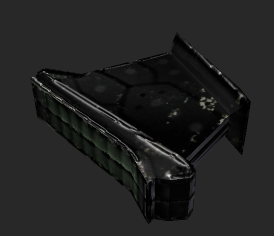 I need to create an item in the database then send it to the in game model creator. Not to much work but I am getting the pipeline done with just one item to be sure everything is optimal before moving to the other items. Before the other items I will need to create the skeleal mesh combiner also to create the characters. Post that the room gen. Post all that I have a game and I start pumping story and assets into the game… I am already 3 months of work in with 7 days worth of work with unity…amazing..more later! 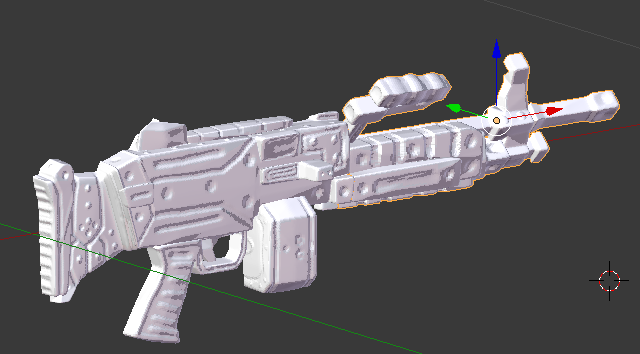 Whoop twidleeeee deee… I now have the weapon generation script done! 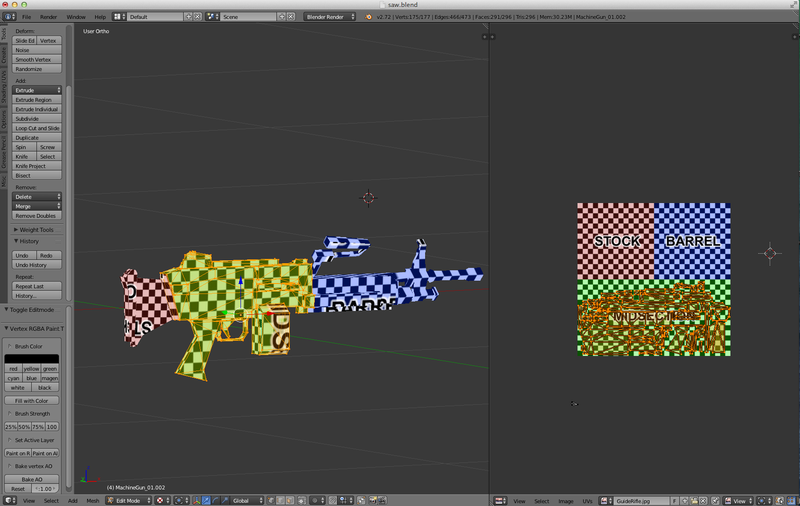 That was easy as PIE… Now I need to integrate the item database to it so I can generate weapons in game. This puppy is really moving!!!!! 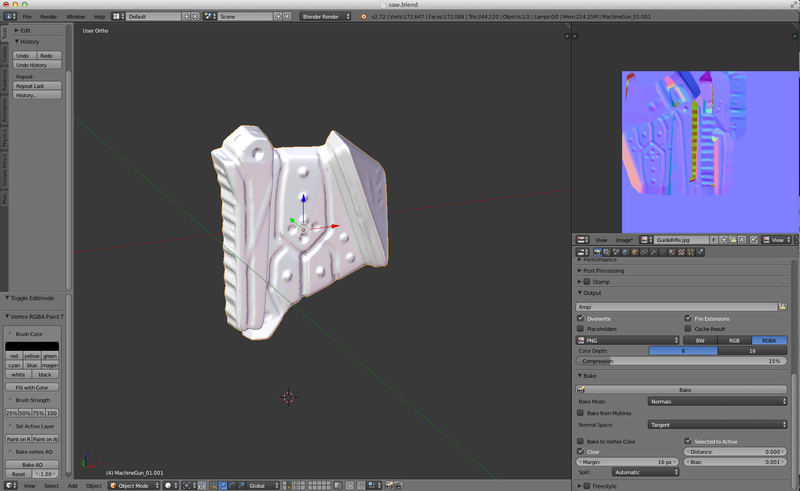 Mesh creation complete now time to generate the texturemap also! The bottom one is assembled from the pieces! I am almost there. I just need to reshuffle game objects and set the shader up right as seen below that is wrong lol. WOW… I got the combination system scripted in all of a few hours… that took days in my own engine.. SO many helper bits of code in C# and unity. That is constructed from these parts below. Their example is not that fast. 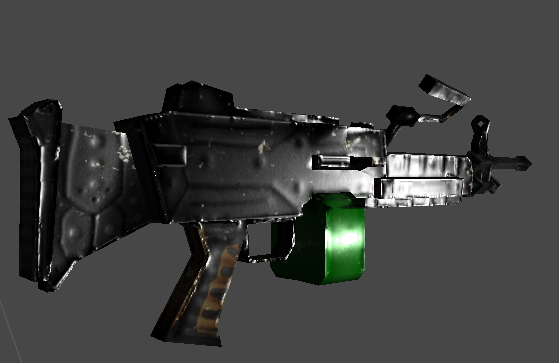 I like to incorperate the specular into the normal map as the alpha. 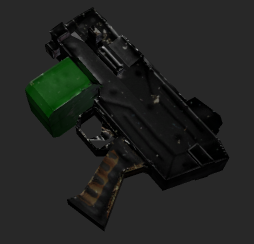 Thus we have a diffuse with a possible transparency and a normal map with a specular. Then if we need a glow we skip the transparency and use the diffuse alpha as the glow. Then if we need more we go full monty and a mush more expensive shader with transparency in the diffuse,specular in the alpha of the normal map, and a third texture that could contain parralax-displacement,glow, and an extra layer or two fo waht we need. Way more expensive. 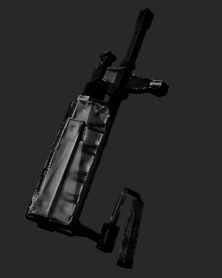 so lets stick with the first =) … we are on mobile devices and can sacrifice transparency all the time on weapons. More later its getting late! 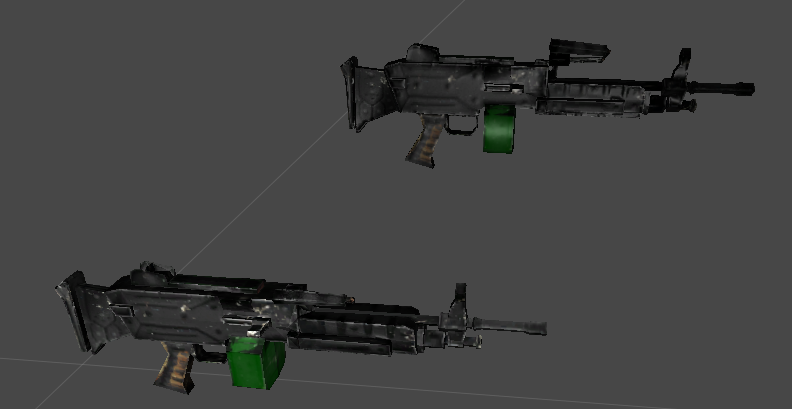 Working on the weapon systems. I had a big computer problem yesterday so I did not get to much time. I think I can create a weapon in 1-3 hours after my templates are finished. Here is one about half way done and 1:45 minutes in or so. I have to create new ones since ME1 was so low res. Then displace by 0.015 and subdivide 2 levels as simple then 4 levels as catman for smoother edges. Lastly Sculpt it! Top right you will then see a normal map. No ususally I use crazy bump with a displacement as it is a GREAT normal mapper. Wiki is here -).. all numbers and items changing as I go! I bought an inventory gui for 15 bucks and saved weeks worth of coding. So today I need to get down on paper the basic rules and item systems on the wiki. After that I need to make the item system create the items from the models. That should not be to difficult.